The Hurt Locker is a 2008 American war film about a three-man Explosive Ordnance Disposal (bomb disposal) team during the Iraq War. The film was produced and directed by Kathryn Bigelow and the screenplay was written by Mark Boal, a freelance writer who was embedded as a journalist in 2004 with a U.S. Army EOD team in Iraq. It stars Jeremy Renner, Anthony Mackie, and Brian Geraghty. Since the film was not released in the United States until 2009, it was eligible for the 82nd Academy Awards, where it was nominated for nine Academy Awards. Although the film had not recovered its budget by the time of the ceremony, it won six Oscars, including Best Director for Bigelow (the first woman to win this award), Best Original Screenplay for Boal, and Best Picture. 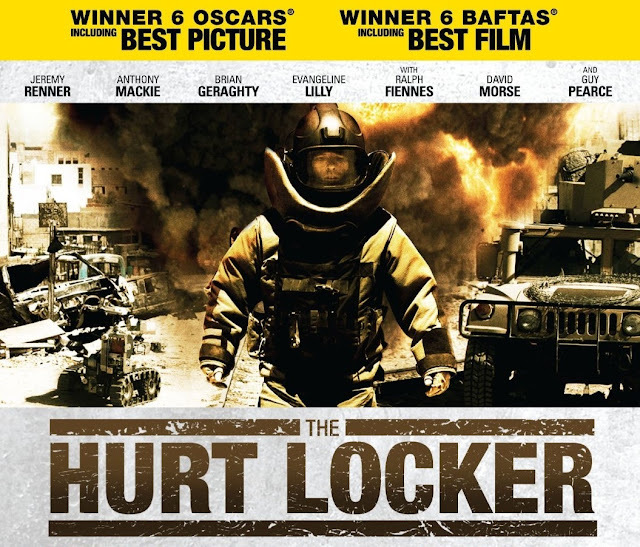 The Hurt Locker earned numerous awards and honors from critics' organizations, festivals and groups, including six BAFTA Awards. However, it received criticism by some in the military for various inaccuracies. The Hurt Locker is identified as the "lowest-grossing movie to ever win Best Picture" in Academy Award, as of 2015. During a raid on a warehouse, James discovers the body of a young boy, which has been surgically implanted with an unexploded bomb. James believes it to be "Beckham" (Christopher Sayegh), an Iraqi youth he had previously befriended. During evacuation, Lieutenant Colonel John Cambridge (Christian Camargo), the camp's psychiatrist and a friend of Eldridge's, is killed in an explosion; Eldridge blames himself for the Colonel's death. Later, James leaves the military compound seeking revenge for Beckham and breaks into the house of an Iraqi professor, but his search reveals nothing and he leaves.